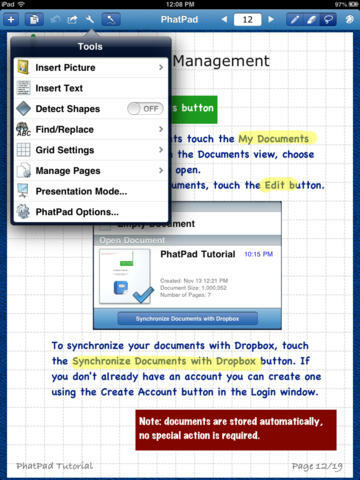 PhatPad is an iPad app developed by PhatWare Corporation. If you are in need of a high quality app for taking notes on your iPad, this is an option well worth considering. 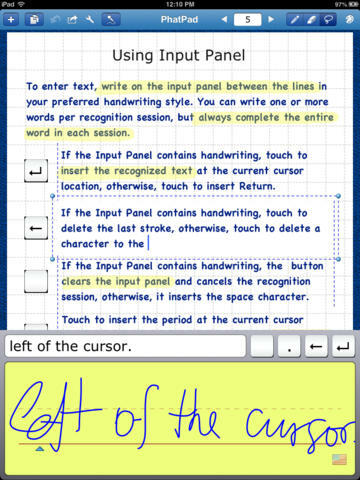 PhatPad boats “smooth-flowing digital ink technology,” which aims to recreate the feeling of pen on paper writing. You can create quite varied page layouts. 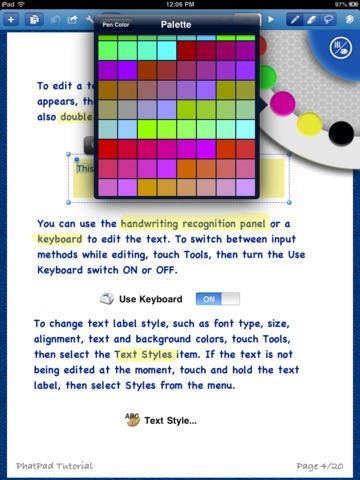 For example, you can set up a page that includes drawings, handwritten text, photographic images, and digital text. The whole point of taking notes digitally is to have easily legible notes that can be shared with ease, and on that front, this app is a great success. PhatPad has a ton of sharing options, including email, WiFi sync, iTunes, Box, Dropbox, SkyDrive, Google Drive, and presentation mode. 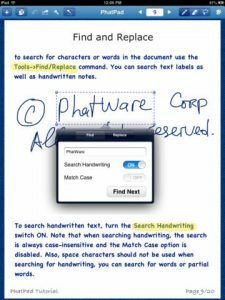 As with many other apps of its ilk, PhatPad allows users to purchase in-app upgrades to the dictionary. You can buy foreign language packs, as well as a medical pack. For med school students or doctors, this would be a worthwhile purchase. PhatPad is positively jam-packed with features, which is both a blessing and a curse. The app benefits greatly from so many features, though it can also seem a bit overwhelming at times because it is capable of so much. There are, thankfully, great tutorials to help you get oriented. All in all, the interface is delightfully responsive. Whether you need a notetaking app that’s just for your own personal scribbles or a robust tool for turning notes into presentations, this app has got you covered. Overall, if you are in need of a reliable, feature-rich, and attractive iPad app for taking notes, this app is well worth the minor investment. PhatPad is an excellent choice. PhatPadrequires iOS 6.0 or later. Compatible with iPad.